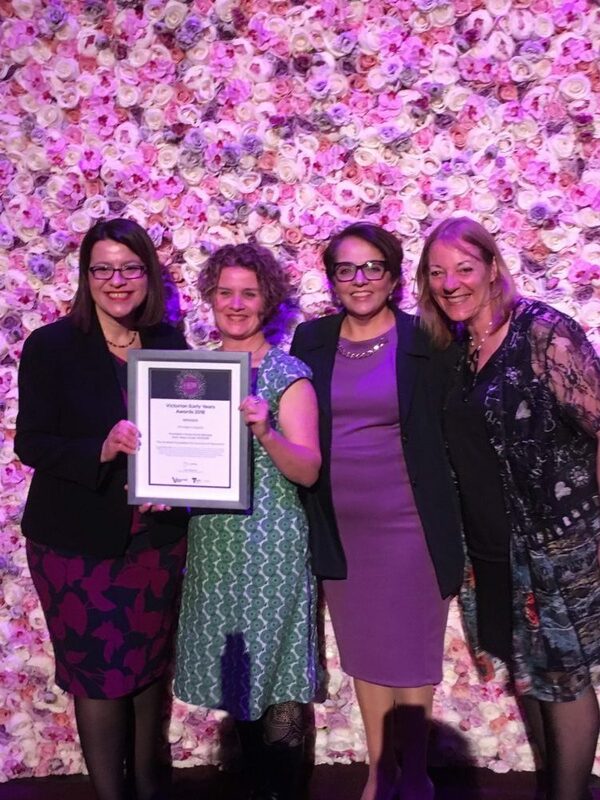 The Minister for Early Childhood Education, Jenny Mikakos MP presented Foundation House with the Minister’s Early Years Award at a ceremony held at the National Gallery of Victoria on October 23. 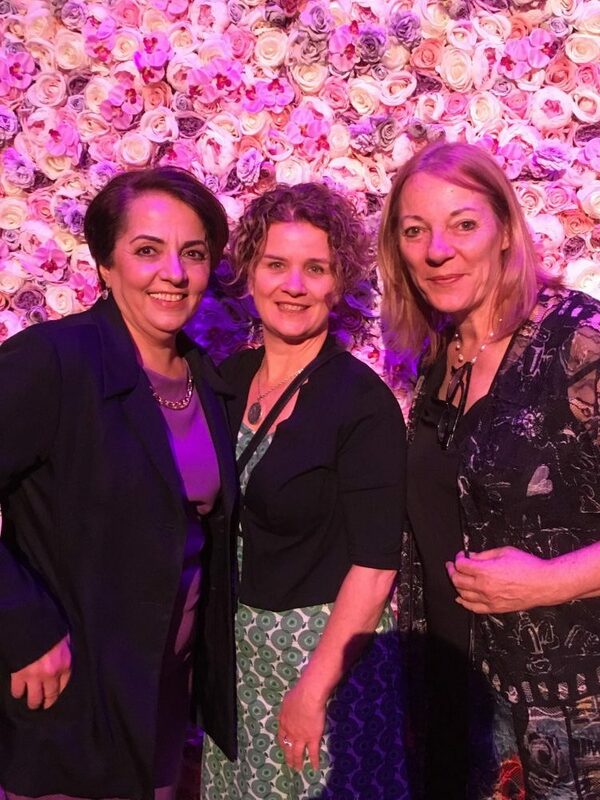 The Minister’s Early Years Award was presented to acknowledge the work undertaken in the Foundation House Hume Refugee Early Years Cluster 2017-18. Selected by the Minister, the award is a special commendation for a program that reflects the 2018 theme of ‘supporting positive relationships with children and families from culturally and linguistically diverse backgrounds’. 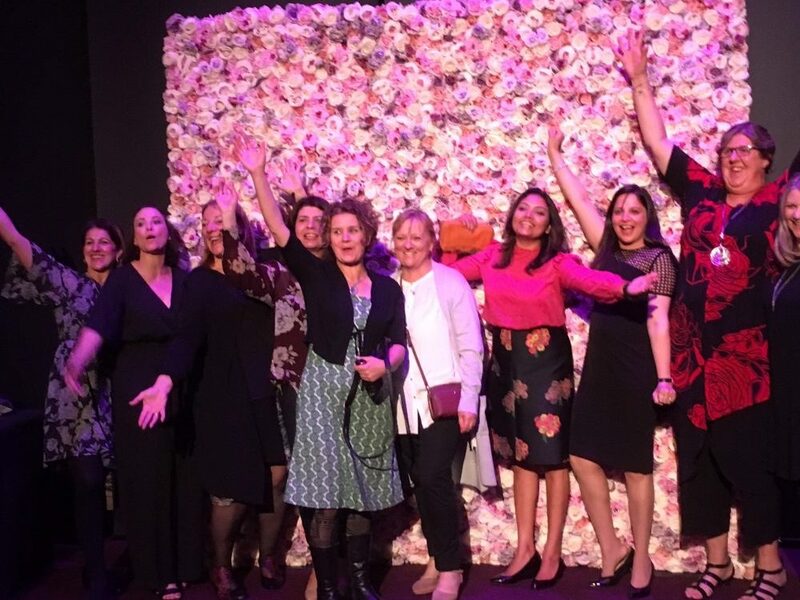 Minister for Early Childhood, Jenny Mikakos MP with members of the Foundation House Early Years team. Foundation House Early Years team & partners celebrate. The Hume Early Years Refugee Support Cluster is a collaboration between Foundation House, Hume City Council Best Start Program and ten locally based Early Years centres and agencies. It aims to improve inclusion for families and children of refugee backgrounds in early years’ services. Foundation House partners in the program are: Family, Youth and Children’s Services: Hume City Council, Newbury Children and Community Centre, Craigieburn Child and Family Centre, Malcolm Creek Pre School, Pelican Childcare Fairways, Hilton Street Pre School, KU Craigieburn Children’s Centre, Good Samaritan Catholic Primary School, Mount Ridley College, Victorian Inclusion Agency, Bright Beginnings – Family Day Care. Congratulations to our Early Years team!